Since its debut in 2009, the Kia Soul has been winning consumers’ hearts with its combination of usability, youthfulness, and character. 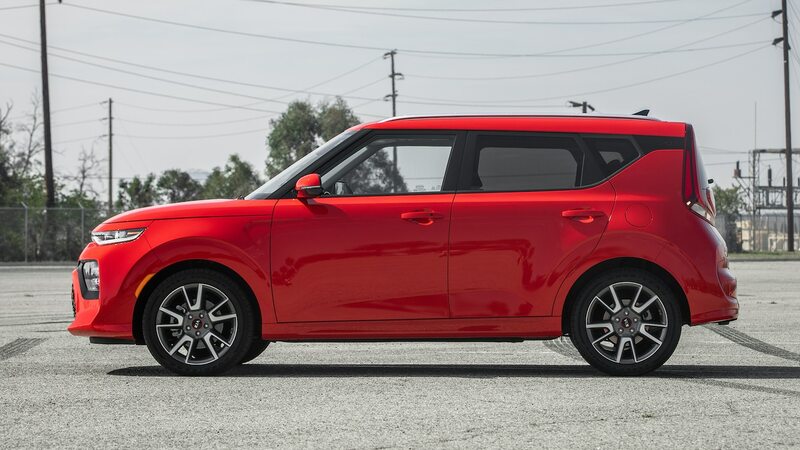 Although it arrived late to the boxy hatchback segment, the Soul became one of Kia’s best-selling models and outlasted the Honda Element, Scion xB, and Nissan Cube. 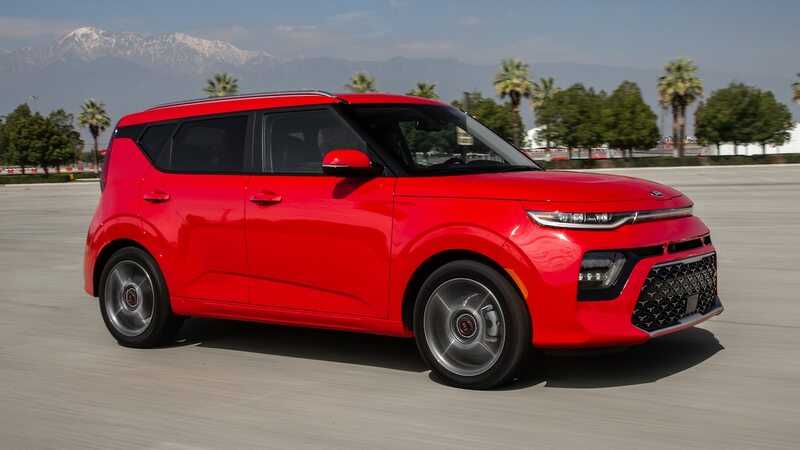 With its original competitors gone, the 2020 Kia Soul straddles the compact car and subcompact crossover segments with tidy dimensions and a roomy interior. The 2020 Soul’s upright greenhouse provides generous accommodations and great visibility. Passenger space is ample all around, even for tall adults. The seats are also raised just enough to make getting in and out a breeze—no climbing or crawling necessary. With all seats up and the false floor lowered, the cargo areas easily swallowed two large check-in bags during an airport run. Folding the 60/40 split rear seat backs and removing the cargo cover turns the Soul into a cavern. The only subcompact crossover to come close to the Soul’s 62.1-cubic-foot max capacity is the Honda HR-V at 58.8 cubic feet. In the compact car realm, only the Fiat 500L and Volkswagen Golf SportWagen and Alltrack surpass the Soul with over 65 cubic feet of maximum capacity. A solidly built interior with a healthy dose of style complements the 2020 Soul’s avant-garde exterior. From the soft molded bits up front to the harder grained plastics aft of the front seats, materials feel substantial. Some variants feature door trims with crystal patterns, two-tone upholstery, and contrast stitching. The GT-Line Turbo’s groovy multicolored mood lighting pulsates with your music, upping the Soul’s appeal a couple notches. The turbocharged, top-of-the-line Soul GT-Line 1.6T presents itself well at the track, too. 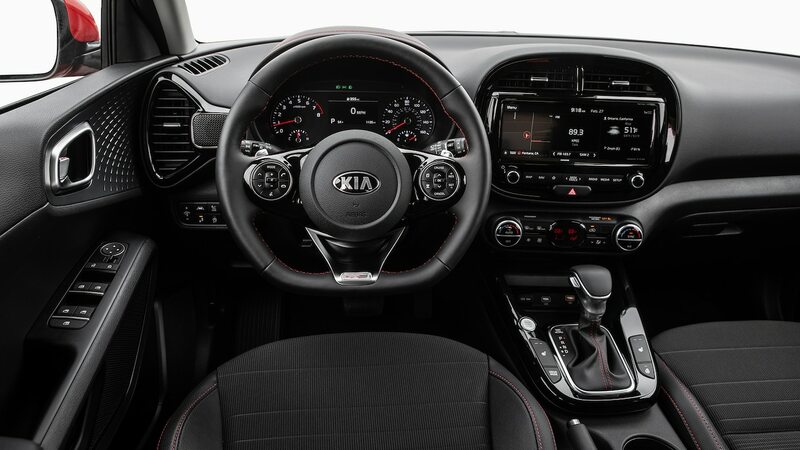 Hyundai-Kia’s punchy 1.6-liter turbo-four has little turbo lag, allowing the Soul to hit 60 mph in 6.5 seconds and lap the quarter mile in 15.0 seconds at 93.7 mph. The turbocharged Soul outruns every subcompact crossover we’ve tested except for the equally quick front-drive version of the Hyundai Kona 1.6T. Among compact hatchbacks, the Honda Civic Sport and Hyundai Elantra GT Sport come closest, but even those are at least 0.7 second and 0.5 second behind to 60 mph and the quarter mile, respectively. Road test editor Chris Walton noted that the Soul 1.6T bogs initially before power comes in and spins the tires slightly. The seven-speed dual-clutch automatic likes to short-shift to get to the highest gear it can get away with, causing hesitation in heavy traffic. In Sport mode, the transmission holds gears longer and responds to accelerator inputs quicker, allowing the powertrain to operate smoother in all driving conditions. The 2020 Soul balances ride and handling nicely, thanks to quick, accurate steering, well-controlled body motions, and an improved chassis. The car corners securely, and the suspension shrugs off all but the nastiest road imperfections. Testing director Kim Reynolds enjoyed the Soul’s quick turn-in on the figure-eight course, which it finished in 26.8 seconds with a 0.66 g average. Walton praised the Soul’s brakes, which had good bite and fade resistance, stopping from 60 mph in 114 feet. Front-end dive is minimal, and stopping distances remained consistent after four consecutive attempts. Away from the track, stopping power remained consistently strong, and the pedal felt reassuring. On the highway, however, plenty of wind buffets over the A-pillars, and it only gets worse in windy conditions. Models shod with larger alloy wheels also suffer from lots of road and tire noise on uneven surfaces. At least Kia’s UVO interface is supremely intuitive to use. The responsive 10.3-inch touchscreen and logical center stack layout effectively eliminate any learning curves. Apple CarPlay and Android Auto work flawlessly even when used alongside the native system. The 640-watt Harman Kardon surround sound system on the GT-Line Turbo turns the cabin into a rich, rolling soundscape. Active driver assistance features are available on select models, and these operate with commendable polish. The lane keeping assist accurately centers the vehicle even through gentle corners at highway speeds. Adaptive cruise control, which is exclusive to the GT-Line Turbo, leaves the right amount of space between you and the vehicle in front even in its closest setting. When the vehicle ahead slows down or someone merges (or cuts) in front of you, the system adjusts the car in a smooth, subtle manner, minimizing the chances of jerking occupants around. 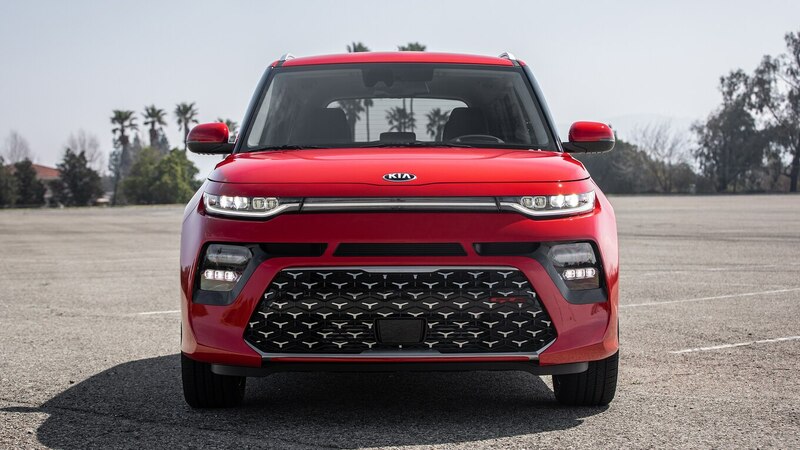 The 2020 Kia Soul continues to bring design flair without compromising daily drivability. Although the latest iteration has matured, its eccentric personality lives on stronger than ever, especially in the turbocharged model. Combining small-car proportions with crossover-beating interior space, the Soul embraces its segment-defying design, especially now that it’s the last box standing. The post 2020 Kia Soul GT-Line Turbo First Test: Fashionable and Practical appeared first on Motortrend.